Every once in a while my children will say something so profound, so wise and knowing, that it makes me take a step back. Today it was Grace’s turn to floor me. She not only left me speechless, she made my heart melt. She made me so proud. Today we started our “Training” as Jay calls it. Now that Spring is here and it stays later longer, we started walking. Our goal is to be able, as a family, to do the Nations Capital Walk for Autism in October. This is something very important to Jay, but honestly Grace could care less. She is 7 and to her it is just another thing I am doing for her big brother, and I get that. Just like she is not too happy about me asking the school principal to participate in Autism Awareness Day. Until today. As we were walking, Jay started telling us about why the moon was in the sky according to Greek Mythology, which just so happens to be his topic of interest these days. At one point Grace let out a very audible sigh, as if to say “Enough already.” I don’t blame her, in fact I myself felt like doing the same thing. I shot her a look which she immediately understood (something I could never do with Jay) and she faked interest as we walked on. As I was putting her to bed tonight I brought up the sigh. “Mom, I know you understand why I did it. He just goes on and on and on. I know he has Asperger’s, but why? Mom whenever I introduce him to someone he will do something and then he walks away and the person I introduced him to will tell me how strange he is. I don’t know what to say mom. I feel bad because sometimes I feel the same way. I love Jay, but he is strange. How can we make him less strange? How do we help him?” she asked with the innocence that only a child can ask with. My heart broke! My heart broke for my son who will always be seen as “Strange” to others. And my heart broke for my daughter who has been put in the position she is in. So many times we expect her to put aside her own emotions and frustrations just to keep peace. I did not want to dismiss her feelings. It would have been easy to say, “That is your brother, and you should stick up for him no matter what.” Of course I want to say this but she is 7, and she has a right to feel embarrassed or frustrated by her brother, even if it breaks my heart. 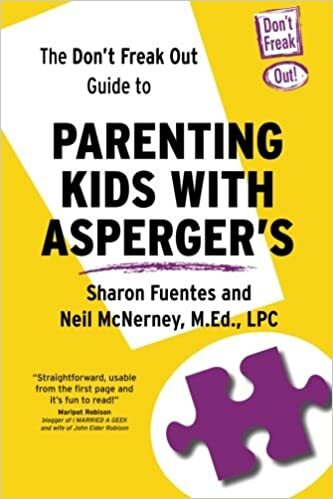 I am a sister of a child that has Aspergers. I think that you should be aware that Aspergers can affect your childhood like you could feel you are different from other people. Anyway I think you should do some thinking about it. I have never been so proud in my life!I could not have said it better if I tried. She is some much like her mom, don’t worry she will grow up just fine, and do all sorts of good things. Tell her that we are very proud of her. What a girl… you definitely have reason to be proud!! Very, very sweet and beautiful post. Made me teary-eyed. Good luck with the walk and may your daughter always hold on to her understanding and love for her brother, even when times get tough. Such a sweet and mature little girl!! She definitely sounds a lot like you—very introspective. It reminds me of the TV show Parenthood (Haddie and Max) except in your case the daughter is the younger one. My daughter is in Kindergarten and doesn’t see that her 10-year-old Aspie brother is a bit different. But this is because they have a lot of ASD similarities (mainly sensory issues, coping skills, emotional regulation, single-mindedness) even though their personalities are very different—she is much more socially outgoing than her brother and likes being in groups. She has been evaluated once so far this year, but the doctor could not diagnose her with Asperger’s (said girls are tougher to diagnose b/c they typically display milder traits and do not fully meet the DSM-IV criteria), but the doctor says she looks to be on the spectrum (probably PDD-NOS) and will continue to monitor her. That’s great that you all are “training” for the walk. There’s an Autism Speaks walk/fair this summer in our area that we are going to.